Where Is it Wednesday! - Holy Smithereens! Hello! How’s everyone’s week been so far?I hope no one melted or cooked from yesterday’s inferno in Sydney. Anyway , hump day is almost over. Closer to the weekend, woo hoo! I thought I’d start a weekly photo post from now on. I will post photos from places I have travelled to every Wednesday. 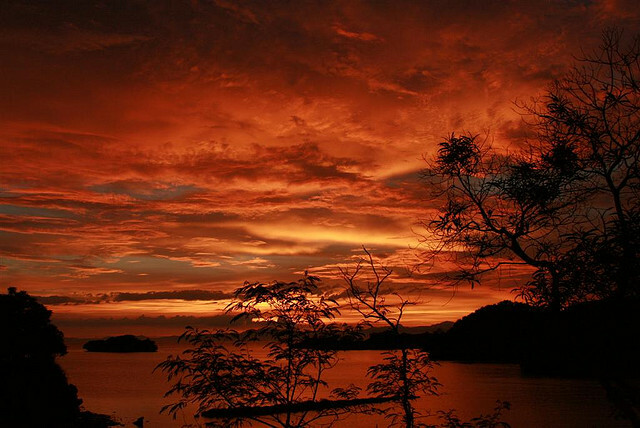 Sunset in Isla Naburot, Guimaras Island in the Philippines. Isn’t it beautiful? My grandfather lived in this island. He passed away 20 years ago and I unfortunately only visited the island a few years back. I will do a blog article on Isla Naburot one day, one of the Philippines’ most beautiful, extremely secluded islands.